Welcome to WorldCity Trade Solutions! We offer a variety of resources on U.S. trade with the world. 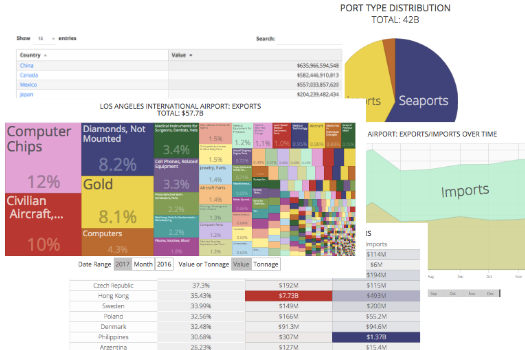 We have over 10 million datasets of trade data in beautiful interactive charts for every Airport, Seaport and Border Crossing in the United States trading with every country in the world. Updated monthly. Click on any of the links above to get started! If you need more in-depth data, please sign up for a Premium Subscription Trial. Hosted by WorldCity, Inc. President, Forbes Contributor and trade expert, Ken Roberts. 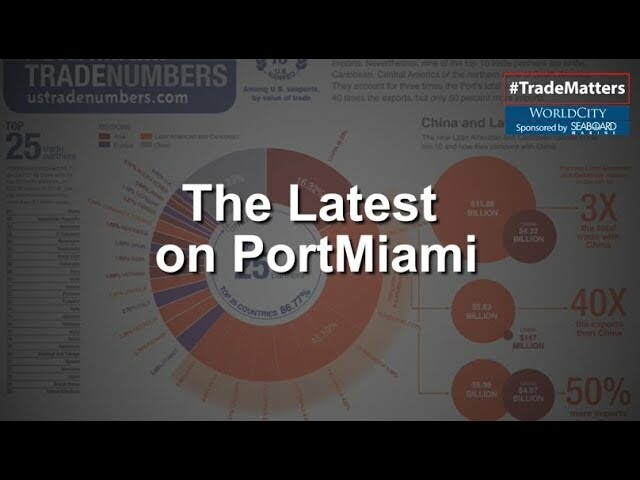 WorldCity.TV: Ken Roberts (our Trade Data guy), WorldCity President, contributor to Forbes.com, and member of the Federal Reserve Advisory Board, discusses the latest trade data on PortMiami. These graphics are part of our 2019 PortMiami TradeNumbers publication's Executive Summary. 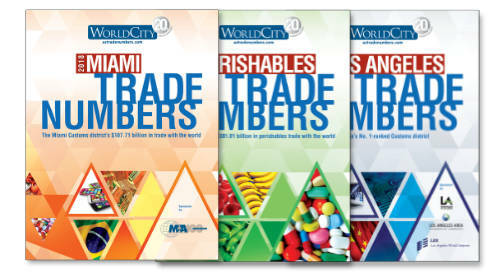 WorldCity, has published annual TradeNumbers publications around the country, including Laredo, Miami, Los Angeles and numerous points in between. Have A Look Around. There is Plenty of Free Data Available! Get in touch with us when you need more and gain access to millions of in-depth datasets! Who benefits from subscribing to ustradenumbers.com? Anyone who needs rich and deep trade data at their fingertips. 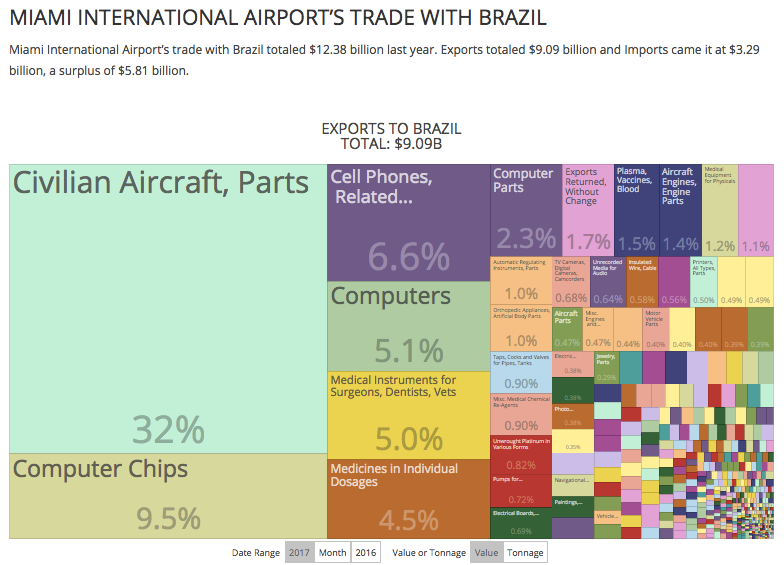 Hover over any country to see their total trade and rank with the U.S. based on current year-to-date (YTD) data. You can also click through to see the country page in detail. More Questions or Ready to Schedule a Demo? Send us a message to learn more about our millions of additional datasets now.